The Community Rehabilitation Service is made up of a team of specialists who work with anyone over 16 who needs rehabilitation. We will work with people and their families to improve their independence, irrespective of their diagnosis. We also work closely with Social Services. 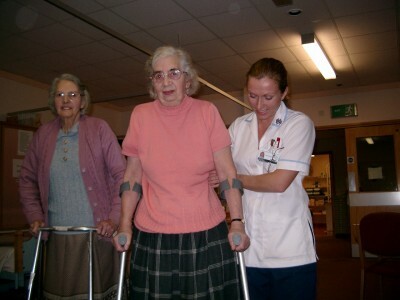 Care can be provided in people’s homes, a day hospital, residential or nursing homes, and clinics. We also provide the therapy input into palliative care (support for the end of life), intermediate care and STAR (Short Term Assessment and Reablement) service. This is a Social Services home care scheme which provides up to six weeks of therapy and reablement in a patient’s own home. We host the Home Accident Prevention Service, providing minor changes to people’s living environment to make it safer (e.g. carbon monoxide testing). Routine referrals are seen within two weeks, urgent referrals seen the same day. Patients can refer themselves by calling the number in their locality. This service operates from 8am to 5pm, Monday to Friday. To contact a member of the team, call 0121 507 2664, and select option 5.